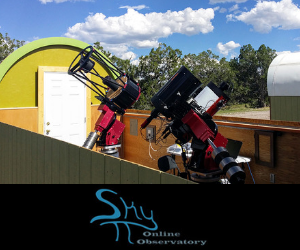 October nights will be full of celestial treats to see with binoculars and telescopes. 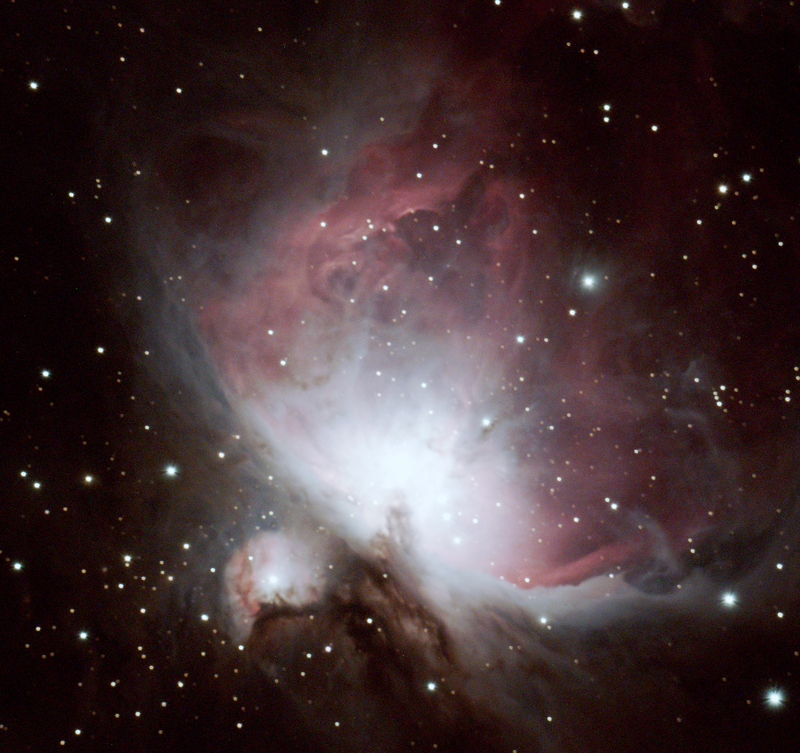 Here are some of Orion Telescopes and Binoculars' top October stargazing suggestions. The annual Draconid meteor shower peaks just before nightfall October 8th. While the Draconid isn't usually the strongest of meteor showers, it is known to have spectacular outbursts. Look towards the constellation Draco for your best chance to catch a glimpse of a Draconid meteor. For the best conditions to see the galaxies and clusters described above, plan a stargazing session for the night of October 9th, when the New Moon will provide dark skies. This is the best night of the month to observe the night sky since light from stars and faint deep sky objects won't have to compete with bright moonlight. 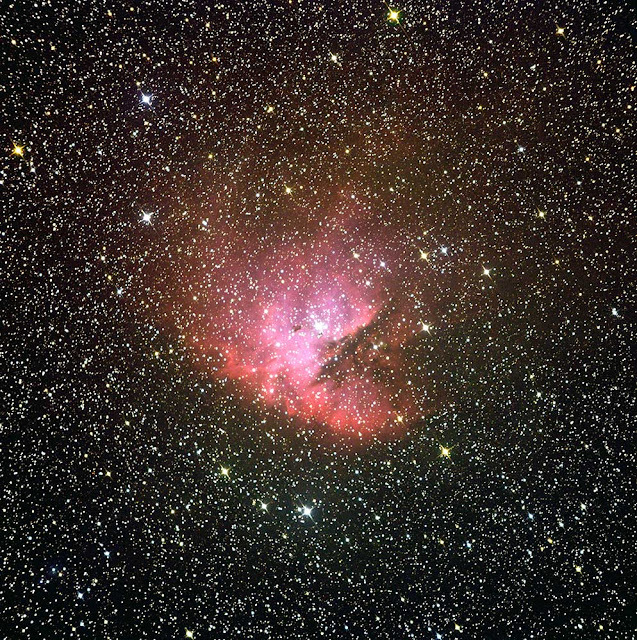 NGC 281 - The "Pacman Nebula" - Imaged on ATEO-1 by 5th-Grade Students at Plymouth South Elementary School, Plymouth, MA. Making a small equilateral triangle with the stars Eta and Alpha Cassiopeiae is the elusive Pac Man Nebula, NGC 281. The Pac Man is a famous target for astrophotographers, but it's not very easy to observe visually. From dark sky locations, you can pick out its faint glow with large binoculars, but a telescope at low power with the help of an Oxygen-III filter will show it best. 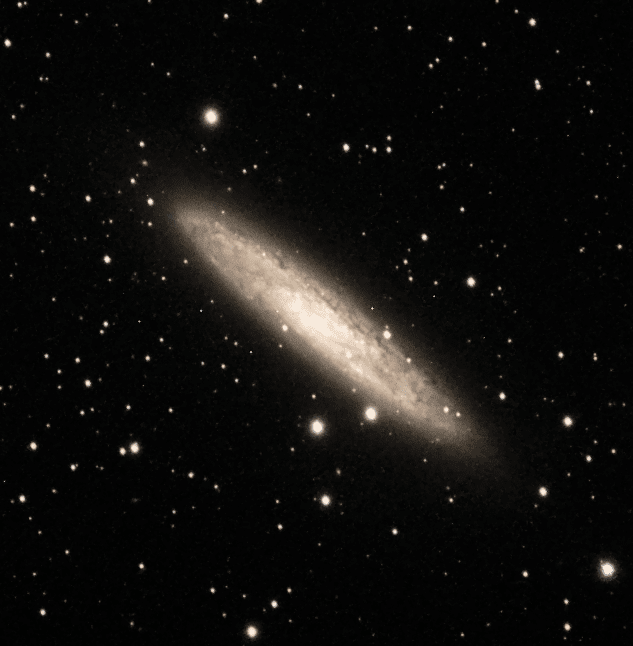 NGC 253 - Imaged Michael Petrasko and Muir Evenden of Insight Observatory. Around midnight local time on October 3rd, the Sculptor Galaxy (NGC 253) will be well positioned for viewing as it will be at the highest point in the sky. Cataloged as both H V.1 and Bennett 4, this 7th magnitude beauty is also known as Caldwell 65, and due to both its brightness and the oblique angle is often called the "Silver Dollar Galaxy." After midnight and before the Sun rises October 21 – 22, you can feast your eyes on the Orionid meteor shower. Look towards the eastern sky, where the constellation Orion will rise, for your best chance to see an Orionid meteor. As many as 50-70 meteors per hour will appear to radiate out of Orion Telescopes and Binoculars namesake constellation. The full Moon’s brightness may hamper visibility of all but very bright meteors. Take advantage of the elusive planet Uranus as it reaches opposition on October 23rd. With Earth positioned between Uranus and the Sun along a roughly straight line, an opposition is when Uranus will be in its orbit's nearest point to Earth. Grab a star chart or StarSeek app to track down this magnitude 6.5 planet, which is just below naked-eye visibility, in the constellation Pisces. Since it's so far away from Earth, Uranus will be a very small bluish-green dot in large telescopes. While sighting the ice giant planet can be a challenge, it's worth the effort to know you're looking at one of the most distant planets in the Solar System.